Sham made of washed cotton/viscose velvet in neutral hues of champagne and ivory. 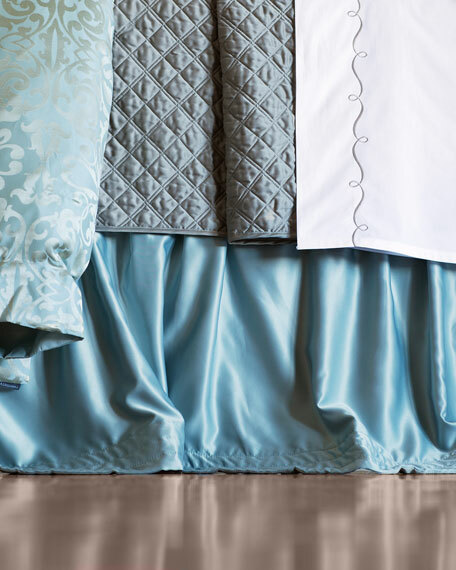 Paris velvet shams have an applique design. 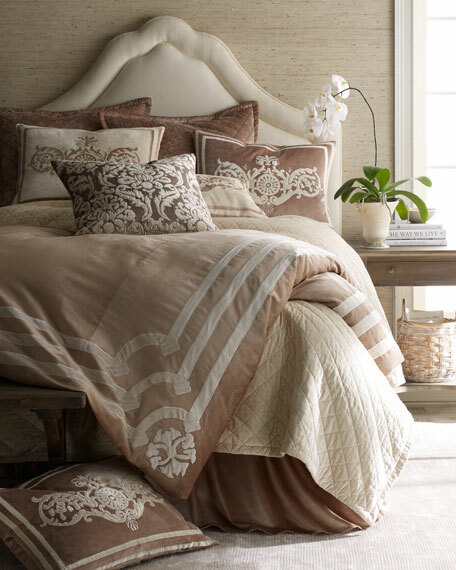 Duvet cover made of washed cotton/viscose velvet in neutral hues of champagne and ivory. 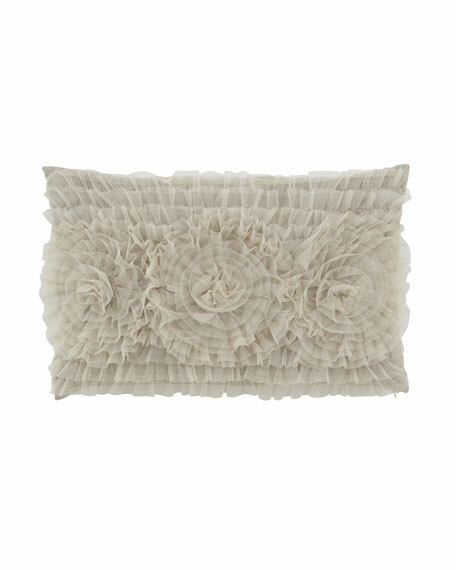 Lili Alessandra Coco Pillow, 22" x 14"
Pillow made of ruffled netting over polyester. 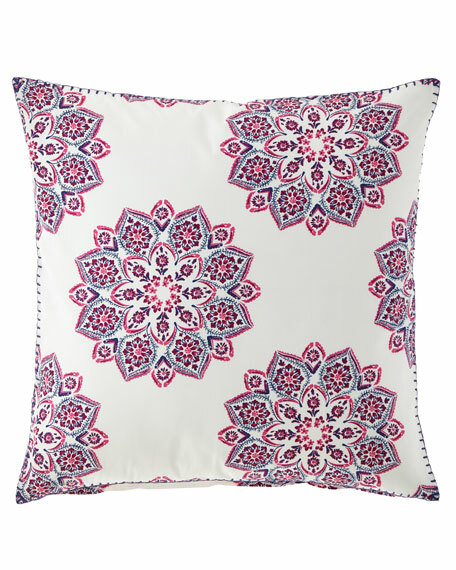 Lili Alessandra Versailles Pillow, 24"Sq. 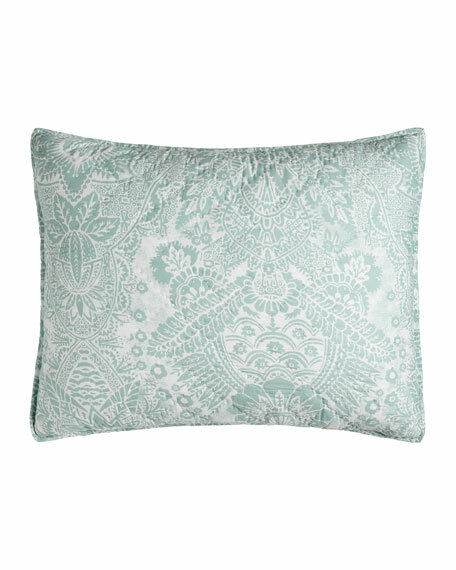 Pillow made of washed cotton/viscose velvet in neutral hues of champagne and ivory. Hand-quilted cotton sham.Back tie closure.20" x 26".Machine wash.Imported. Hand embroidered pillow. 200-thread count combed cotton percale. 26"Sq. Machine wash.Imported. Diamond-quilted polyester.Silver reverses to blue; ecru reverses to ivory.112" x 98".Machine wash.Imported.